The Butterscotch Brew and the Elixir of Love. 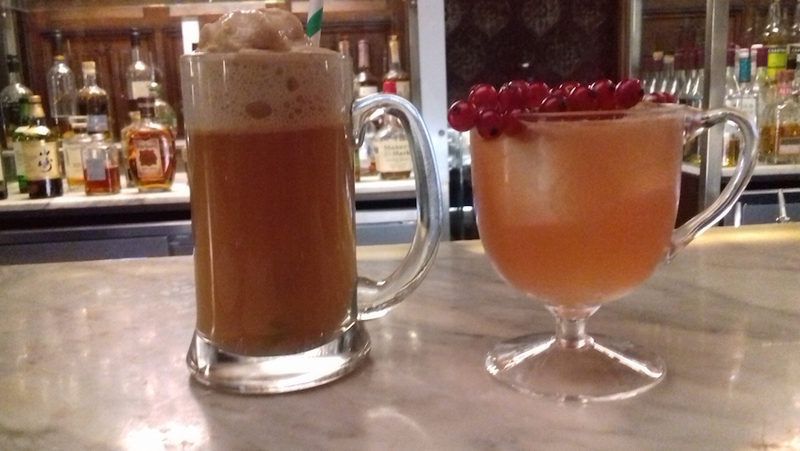 Calling all Harry Potter fans: The Booking Office bar in St Pancras has launched a new Potter themed cocktail menu — and it's every bit as magic as it sounds. Mystic Elixirs and Potions is a well-thought out Potter stop-off, wedged between Platform 9 ¾ and the British Library's forthcoming Harry Potter exhibition — plus, the hotel itself was the backdrop for that flying car incident. Yet the menu steers away from tourist trap, staying in sophisticated territory — the bartenders are a pleasure to watch (and chat to — we hear the story of the Cursed Child opening night after party, which took place in this very room). Absolute highlight of the menu is the Butterscotch Brew (the non-copyright-infringing version of butterbeer), a warm, sweet and creamy rum concoction topped off with Butterscotch Angel Delight — we think we've found our new winter cocktail. We could happily drink our way through several of them in one sitting, but in the name of research, we press on through the menu. Underage muggles can tuck into a non-alcoholic version. The Elixir of Love is a fruitier foil to the Butterscotch Brew, but we love the theatricality of the Camouflage Coupette, served in two vessels. Pour the liquid out of the potion bottle onto the candy floss and watch it dissolve. It's a potent mix, containing absinthe — you've been warned — so worth lining your stomach with some of the bar snacks (the 'mini' fish and chips is a meal in itself, the chips the most satisfyingly crispy we've had anywhere). Our tip? Settle yourself in one of the bar's atmospheric nooks or crannies, stock up on bar snacks and drink your way through the menu. Finish off with a Minty Toad For The Road (the Hogwarts equivalent of an after dinner mint — rich, dark chocolate with a subtle minty tang) — it's an ideal place to hole up on a winter afternoon. 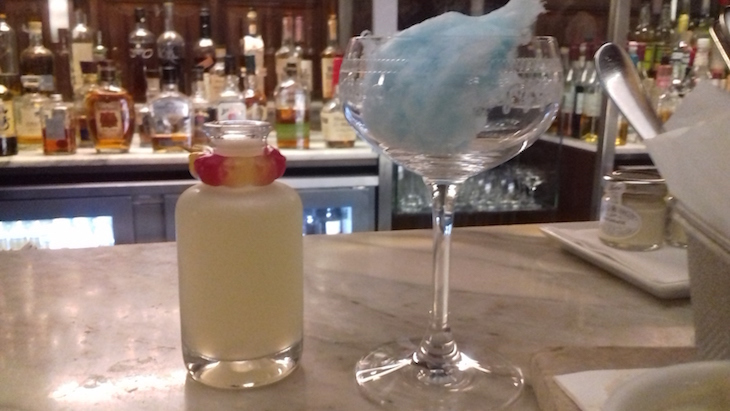 Mystic Elixirs and Potions available until February 2018 at The Booking Office, St Pancras Renaissance Hotel, Euston Road, NW1 2AR.